We are happy to announce that Chance Ecologies has been selected for the Studio in the Park residency program at the Queens Museum, in partnership with ArtBuilt and NYC Parks. 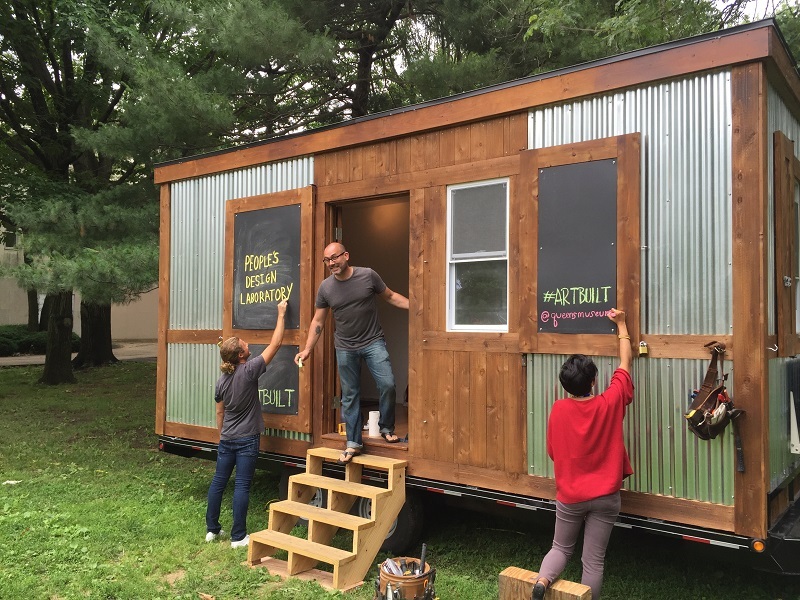 This six-week residency will provide the artists of Chance Ecologies the opportunity to work in a 150 square foot purpose-built mobile studio situated adjacent to the Queens Museum in Flushing Meadows Corona Park. Chance Ecologies, led by curators Catherine Grau and Nathan Kensinger, will be using the residency to work on Chance Ecologies: Flushing River, an in-depth exploration of the entirety of the Flushing River, using the mobile studio as a research hub and community engagement space. This project will explore the long industrial history of the river, which has left much of its northern shoreline in a state of inaccessibility, while also investigating the man-made ecosystems in Flushing Meadows Corona Park, and will seek to connect the wild, abandoned waterfront areas to the better-known park’s landscape along the southern stretch of the river. Through the six-week residency the curators of Chance Ecologies will invite a group of artists to engage in a series of week-long mini residencies at the studio space. The artists and curators will work on weekly public events based out of the studio, which will include performative walks, ecological field trips, canoe paddles, and historic and scientific investigations connecting the source of the river to its mouth in the Flushing Bay. The activities will accumulate into an evolving archive of artistic research that will be visually represented both inside and outside the mobile studio, and will be accessible to visitors during regular daytime hours. The culmination of Chance Ecologies: Flushing River will be a final daylong series of public events centered around the studio space, a publication of the research realized during the residency, and the exhibition of resulting new works at the Queens Museum in October. Please check queensmuseum.org/events in the coming weeks for updated information on studio open hours and the project’s public programs.